The spotlights intend for filing of eaves and ceilings. 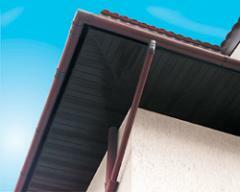 This facing material both improves appearance of the building, and provides its ventilation. The spotlights are established in hard-to-reach spots and at the same time do not demand preservation. The spotlights are offered in panels of 3 modifications: punched, central punched and smooth. 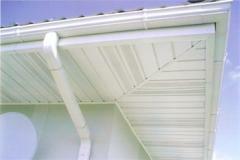 A variety of forms and color will allow you to pick up the most suitable material for your country house or giving. 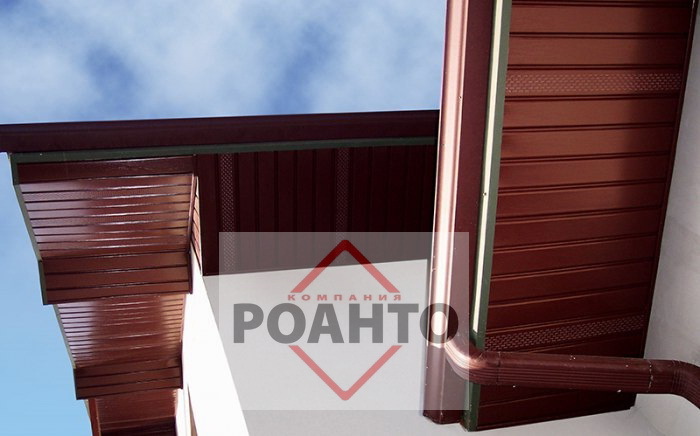 Office and production of LLC Roanto: Kiev, Prichalnaya St., 5A (arrival with Zdolbunovskaya St.). We work quickly and qualitatively! 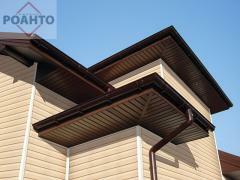 Unbelievable price on Podshiva Soffit of Idaho in Kiev (Ukraine) company Roanto, PP. Spotlights for a roof podshiva!!!! 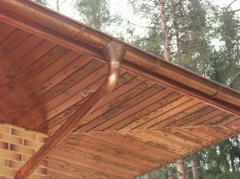 Подшива Соффит Айдахо Podshiva Soffit of IdahoPodshiva Soffit el IdahoСофіт підшивання Айдахо! Акція!